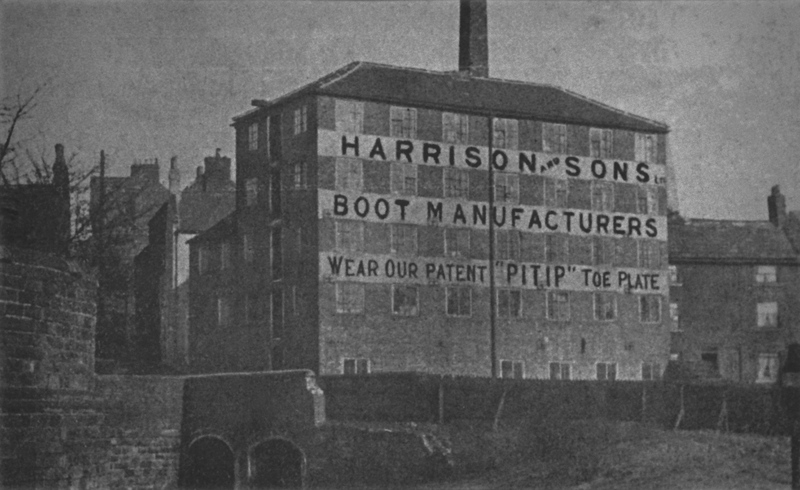 The former Chesterfield Silk Mill, erected about 1760 on the River Hipper, was leased to John Harrison and sons, boot and shoe manufacturers, in 1910. It also shows as being Beetwell Works on a 1914 OS map. 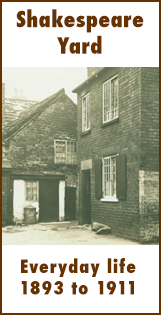 The photograph was taken between 1910 and 1915, when the river was diverted away from the mill and the Silk Mill house adjoining was demolished. 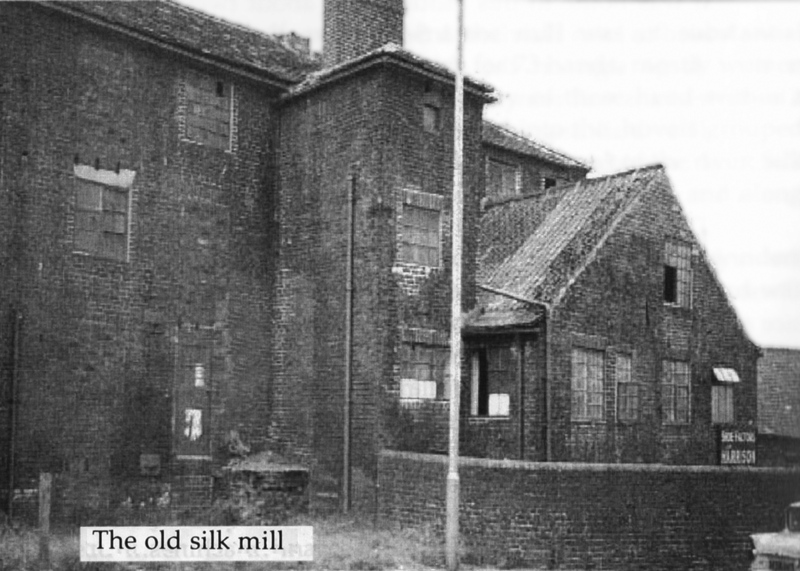 The old House of Correction, or prison, can just be seen to the left of the Silk Mill entrance. 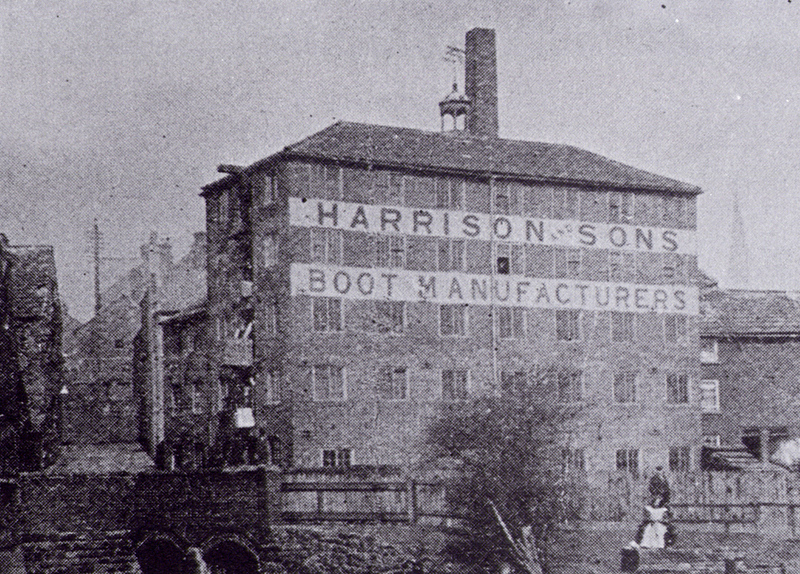 The Silk Mill/Harrisons as seen from Markham Road. 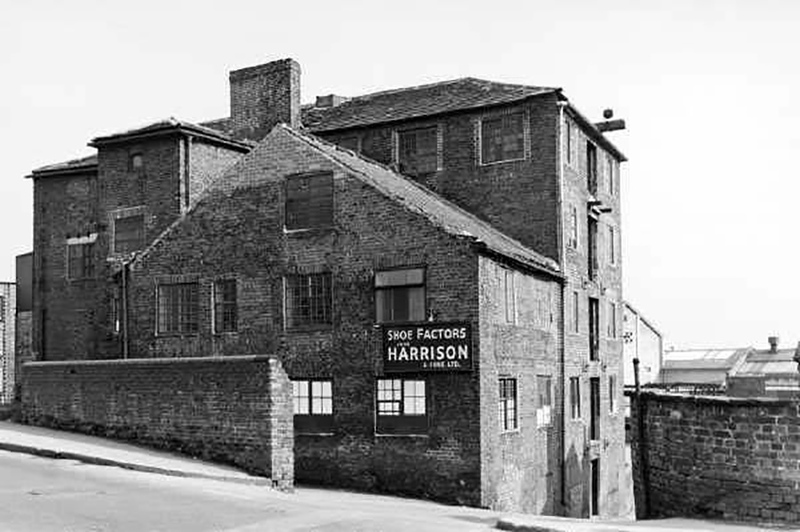 The Silk Mill/Harrisons, seen from Hipper Street South. 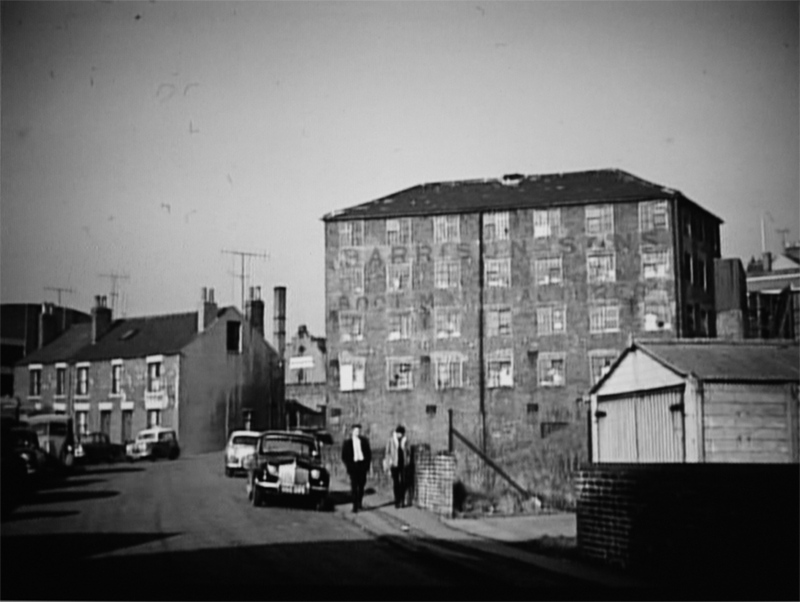 Final days of the Silk Mill in the 1960s. Glad you like the site. There are a few bits to be added re the House of Correction, but not that much that we know of. 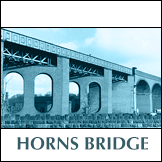 Fantastic site I knew of these places from my mum, but have not seen many pictures. Hi – Thanks for the comment. I hope you enjoy the site and it gives you sense of what things were like in the Dog Kennels’ area when your grandpa was a child.